Many Hands. Light Work. Big Impact. 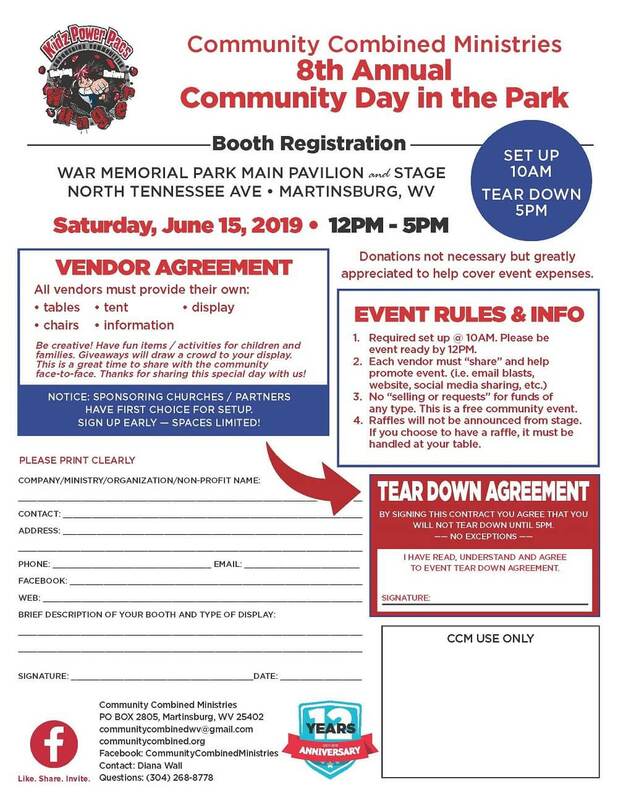 Join CCM for a special day to give back to our community and the KPP families we serve. This FREE COMMUNITY EVENT will change lives and create a BIG impact in our community. CCM is currently seeking sponsors and helping hands for this BIG day! Won’t you join us? How can your business be a part of this exciting FREE community event? and food for our community and the KPP families we serve. How can you help? Event Day Donations AND/OR being a sponsor of key parts of the event by providing financial support. Please fill out a sponsorship form (pdf below) and return it to us via mail or email. 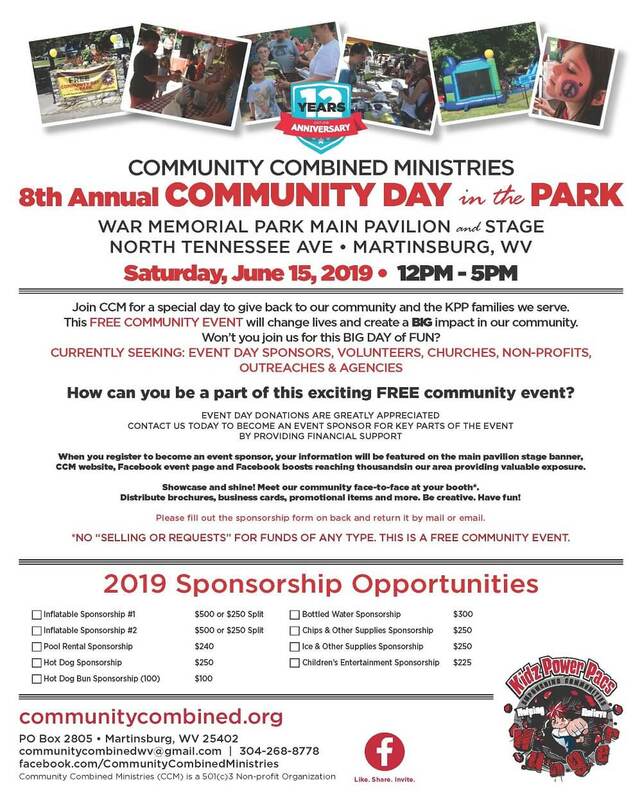 We will feature your sponsorship on the main pavilion stage banner, the CCM website, Facebook event page and Facebook boosts reaching thousands in our area providing valuable exposure. Showcase and shine! Meet our community face-to-face at your booth*. Distribute brochures, business cards, promotional items and more. Be creative. Have fun! *No “selling or requests” for funds of any type. This is a free community event. Feeding Children, Souls and Empowering Communities with HIS Love. Kidz Power Pacs (KPP) Weekend Feeding Ministry Serving 900+ Children / 40 Schools in Berkeley & Jefferson Counties, WV since 2007. King Foods (KF) Discount Food Ministry Monthly discount food available for order. Everyone qualifies. Community Combined Ministries (CCM) is a 501(c)3 Non-profit Organization Copyright © 2018 by Community Combined Ministries. All rights reserved. This logo, website or Facebook page or any portion thereof may NOT be reproduced or used in any manner whatsoever without the express written permission of Community Combined Ministries except by the use of social media share buttons provided on each page and post, or the direct and unaltered printing of our posters shown on the "How to Help" page.